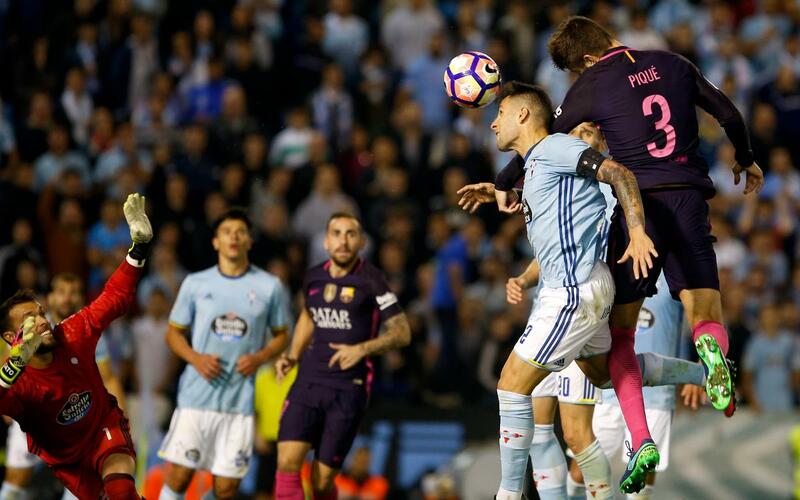 Despite throwing everything at Celta Vigo in the second half, FC Barcelona were unable to salvage anything from their trip to Balaídos after the hosts had taken a three-goal lead in the first half. It was the first time that Gerard Piqué had ever scored twice in one game, and he almost had a hat-trick late on. As well as the goals, Piqué was heavily involved all over as he recovered 18 balls as well as making 52 successful passes, more than any other player. Andrés Iniesta made his 600th appearance for the club, and is now second only to Xavi Hernández. The midfielder came on at half time and made the assist for the first goal. Denis Suárez made his return to his boyhood club, and also had an impact by setting up Piqué for the goal that made it 4-3. Neymar’s successfully converted penalty was his fifth goal of the campaign and is now the team’s third leading scorer behind Luis Suárez and Leo Messi. The defeat spells the end of Barça’s run of eight straight wins away from home.